Hot off the press! The rise (and fall?) of Acropora…………. For those interested in coral reef systems please check out the new paper just published in the journal Science Advances by our GRG long time collaborator Dr Willem Renema (Naturalis Biodiversity Center, Leiden, Netherlands). This is an interesting paper that charts the evolutionary history of the branching coral Acropora – the most prolific and widespread reef builders today. The paper shows that while Acropora has a diverse history extended over the past 50 million years, it was not a dominant reef builder until the onset of high amplitude glacio-eustatic sea-level fluctuations 1.8 million years ago. 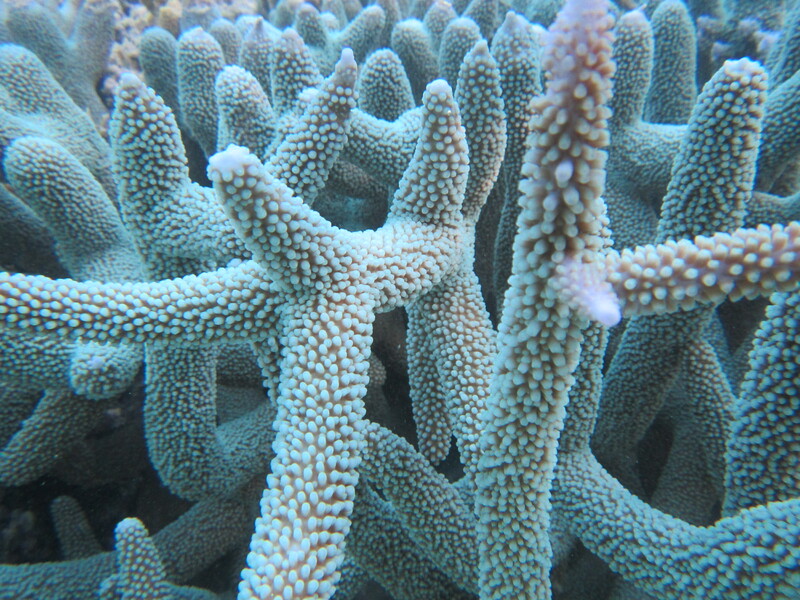 As I tell all my students, Acropora is so successful due to its high growth rates (go those axial corallites!) and propagation by fragmentation. However, it is also highly susceptible to local anthropogenic stresses (eg. sediment flux) and climate change (eg. SST rise and bleaching). So this begs the question – Acropora has dominated the past 1.8 million years but what about the future? ← Bathtub approach to assess sea level rise?